The Administration Officer is responsible for maintaining day to day financial, accounting, administrative and personnel services in order to meet requirements and support service operations. The Administration Officer will report to the Managing Director and she/ he is responsible for assisting with preparation of financial statements, maintaining cash controls , prepare the payroll, prepare the fund request together with the MD and personnel administration (Time sheet , Leaves records) purchasing, maintaining accounts payable and managing office operations. To act as the liaison between SHE managers and employees, ensuring smooth communication and prompt resolution of all queries. You will also support our daily HR activities and assist in coordinating HR policies, processes and relevant documents. Bachelor of Business Administration (BBA) in finance or accounting, professional accounting certificate will be an asset. We are currently seeking an experienced Health and Hygiene Manager with strong skills to join our growing team. In this position, you will oversee, design, develop, coordinate, and run both large- and small-scale training MHM program. To do so you are required to be strong on Leadership, Government and partners relations. 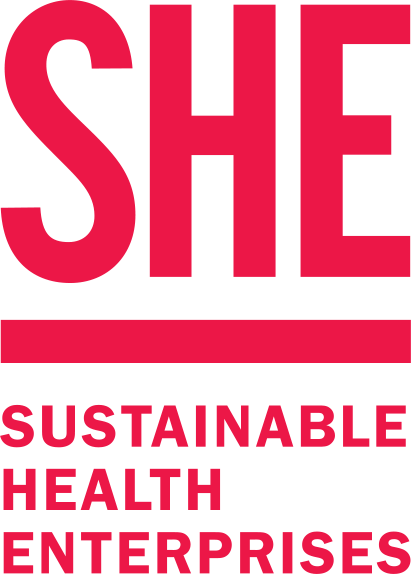 Manager will build on the existing work and experience of SHE- Rwanda to develop creative resources to support the delivery of Menstrual Health Education in Rwanda. The material will be widely used in the whole country by other organizations seeking to improve girls’ and women health through health education and community awareness. The Manager will also be requested to work in close collaboration with the Business team to coordinate and implement larger community awareness outreaches to our pad purchasers to ensure that communities receiving go! pads are also able to access Menstrual Hygiene Management (MHM) information they need. Deliver MHM trainings and workshops to other organizations and other different audiences. Together with other girl’s education promoters in the country, ensure that MHM advocacy is taken into consideration while girls’ education promotion is in discussion especially in the areas of policy changes. Train teachers on puberty, menstruation, and menstrual hygiene management, including go! Conduct awareness sessions on puberty, menstruation, and menstrual hygiene management, including go! Travel throughout Rwanda as necessary to train teachers and students and conduct advocacy. Develop and provide training plan for MHM education facilitators and, if capable, oversee the training of health facilitators. Conduct literature review as needed to capture and understand recent findings in MHM curriculum design and effectiveness and incorporate findings into updated curriculum. Conduct pre- and post- surveys among trained teachers and incorporate findings into updated curriculum. Collaborate with SHE’s Marketing team to ensure alignment of updated curriculum with any development of sales content. Collaborate with partners to adapt curriculum as needed to program site context. Adapt existing MHM Training of Trainers materials for community and school implementation for different partners. Develop content for other supplementary resources (e.g. : resources for variety of groups; girls, boys, community health workers and teachers, to name but a few). Oversee the adaptation (as needed) of the teacher training manual for REB approval. Oversee the adaptation (as needed) of the student booklet for REB approval. Collaborate with SHE’s Business Development Manager as needed to adapt curriculum for sales training (e.g. shorter educational brochure, inserts, posters). Build relationships with public, private, and nonprofit sector stakeholders in the health and education fields. Build or maintain relationships with Ministers of Health, Education, and Gender and get Teacher Training Manual approved. Preparing reports for district and government officials and non-profit stakeholders for national and global distribution. 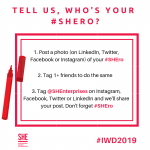 In collaboration with the Managing Director, develops and manages SHE strategy for strengthening relationships with Government officials and Partners and increasing their understanding of and support for SHE MHM. Plan and implement events and other activities to support the SHE’s government and partner relations goals, such as town halls, news conferences, school visits, and meetings. Strategize and collaborate with Business Development Team to align potential partner to boost sales. Hold a Bachelor’s degree in Community Health Development, Public Health, Social Sciences or a related field. Demonstrated experience designing menstrual health or adolescent health education curricula, preferably in a Rwandan context. Demonstrated experience facilitating menstrual or adolescent health education curricula, preferably in a Rwandan context. Cultural sensitivity and empathy are a must. Previous experience working with rural and/or vulnerable populations is preferred. Proven experience in working in community heath projects. Advocacy experience, or demonstrated ability to build relationships with both public, private, and NGO sector stakeholders. Demonstrated interest in social impact. Fluent in English and Kinyarwanda. Ability to work effectively in a team and excellent interpersonal skills. The ability to develop effective partnerships with the private, NGO and public sector. 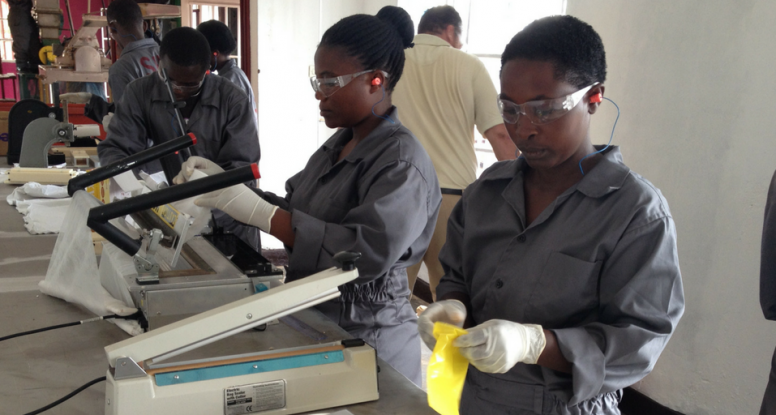 Ability to support the development of manuals and training materials and conduct training. Strong written and verbal communication skills in English and Kinyarwanda. Proven ability to identify and write good story ideas. A positive, can-do attitude and sense of humor. Applicants must fully meet the qualification requirements. Qualified individuals are requested to submit cover letter and resume ONLY in English and Word (.doc) or Acrobat (.pdf) format, addressing above-listed qualifications and requirements; and providing names, professional relationship, contact numbers and email addresses of three professional references, including at least two former supervisors. Do you know SHE’s next team members? Health and Hygiene Manager: We are currently seeking an experienced Health and Hygiene Manager with strong skills to join our growing team. In this position, you will oversee, design, develop, coordinate, and run both large- and small-scale training MHM program. To do so you are required to be strong on Leadership, Government and partners relations. 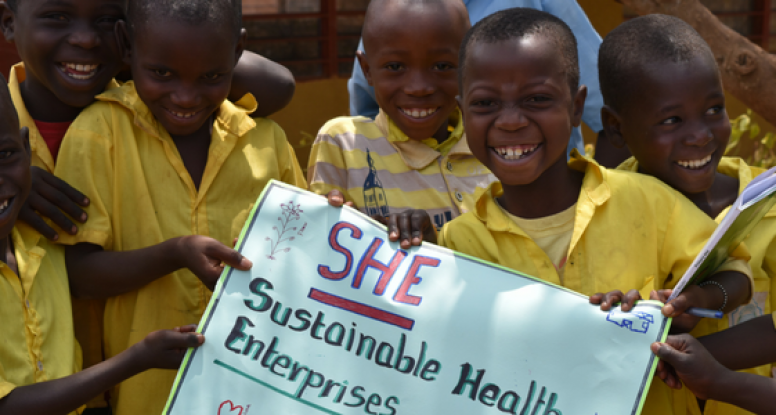 Manager will build on the existing work and experience of SHE- Rwanda to develop creative resources to support the delivery of Menstrual Health Education in Rwanda. The material will be widely used in the whole country by other organizations seeking to improve girls’ and women health through health education and community awareness. The Manager will also be requested to work in close collaboration with the Business team to coordinate and implement larger community awareness outreaches to our pad purchasers to ensure that communities receiving go! 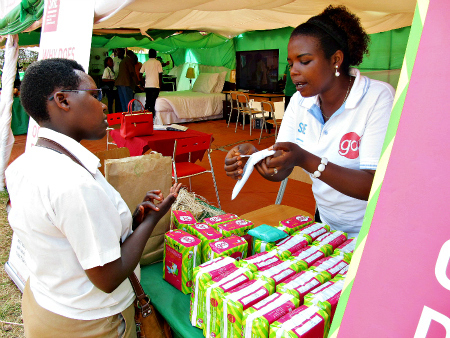 pads are also able to access Menstrual Hygiene Management (MHM) information they need. Click here to read the full job description. Administration Officer: The Administration Officer is responsible for maintaining day to day financial, accounting, administrative and personnel services in order to meet requirements and support service operations. The Administration Officer will report to the Managing Director and she/ he is responsible for assisting with preparation of financial statements, maintaining cash controls , prepare the payroll, prepare the fund request together with the MD and personnel administration (Time sheet , Leaves records) purchasing, maintaining accounts payable and managing office operations. Click here to read the full job description. We’re looking for a highly motivated individual who wants to work and learn with our development team for 12-15 hours a week for a monthly stipend. S/he will be responsible for conducting research to support our fundraising and development efforts, help us improve our donor communications, and manage our social media sources. Click here to read the full job description.